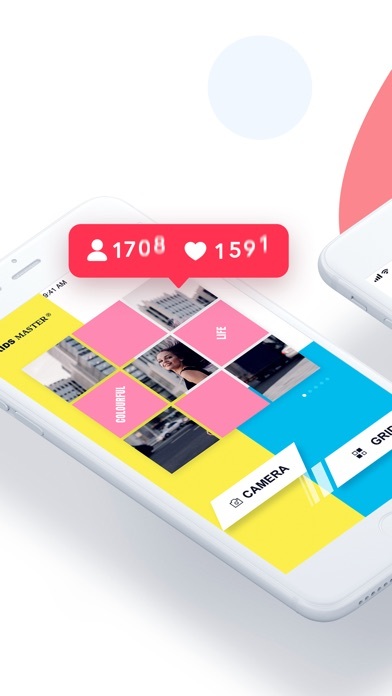 PhotoGrids app allows you to split your large rectangular photos into a number of square pics and upload them to social media and impress your friends. 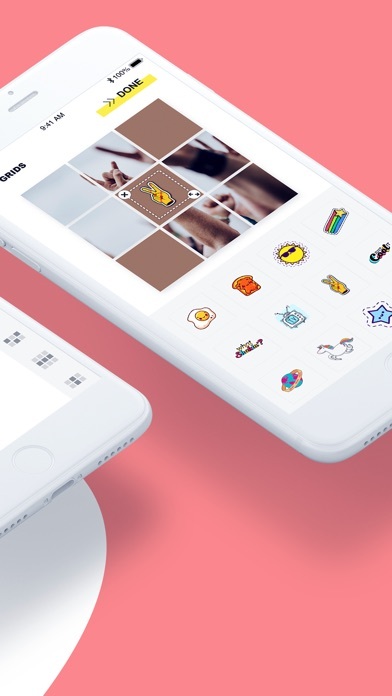 PhotoGrid introduces a totally new way of using your social media, wrapped in simple and easy-to-use design. Don't miss the chance to express yourself. 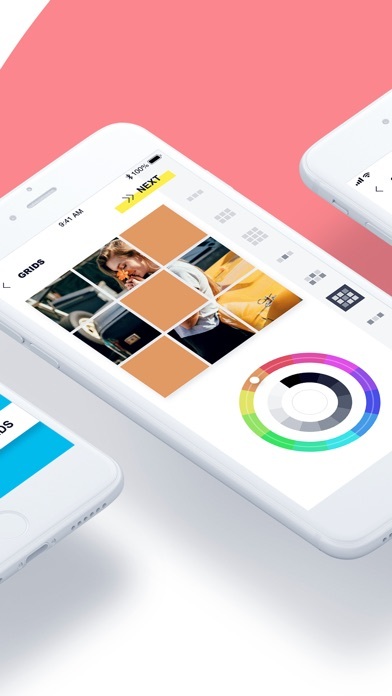 Features: • Grid: Edit, grid or frame your photos in seconds. 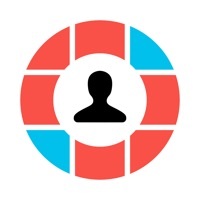 • Customize the colors of part grids. • Cute stickers to decorate photos. Coins are used to unlock some grid layouts, stickers, and remove watermarks. i love this app it works very well , download it and you will see the duffrence . Sometimes doesn’t give you the coins. It also fails a lot with the game portion and says “network failure” then makes you wait another day to do it.